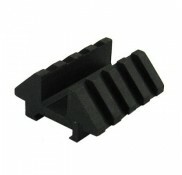 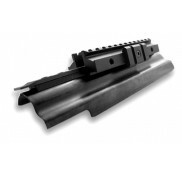 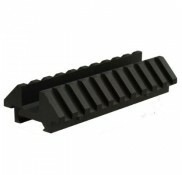 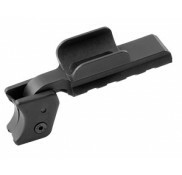 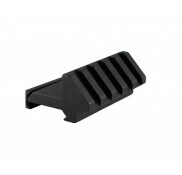 Riser Mount for Rifles with Picatinny/Weaver Rail 1.6" Long Picatinny Rail with3 Slots 0.5" Saddle..
Riser Mount for Rifles with Picatinny/Weaver Rail 2-5/16" Long Picatinny Rail with 5 Slots Side Pl..
12 Gauge Shotgun Barrel Mount 3 Picatinny Rails T6 6061 Aluminum Construction Mil-spec Type.. 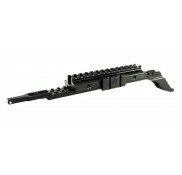 The rail Easily Mounts to 1911 pistol to the Trigger Guard (No Gunsmith Required). 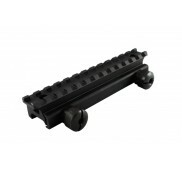 The rail will al.. 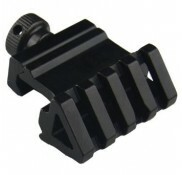 Adds 3/4 inch saddle height Length 5.3" Compatible with Weaver / Picatinny accessories ..
T6 Aircraft aluminum body Bead Blast Hard Anodized Finish New Military Spec 1913 Picatinny Rail D..
.45 OFFSET ANGLE MOUNT FOR RED DOTS,FLASHLIGHTS AND LASERS LENGTH: 2.1" N.W. 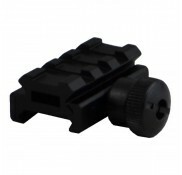 (OZ): 1.9 FEATURES..
.45 OFFSET ANGLE MOUNT FOR RED DOTS,FLASHLIGHTS AND LASERS ..
Quick detachable mount, fully adjustable for most side rail variants Fits most of AK..
AK top rail w/tri mount goes onto rear sight of receiver Installation is easy: remove the rear sig..
Replaces existing receiver cover Fits all AKM .. 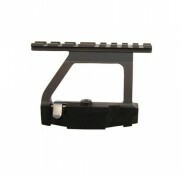 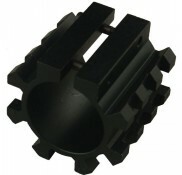 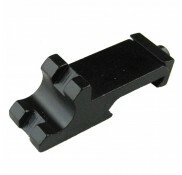 This AK Scope mount provides a rigid platform with a Picatinny rail system . 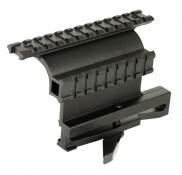 This is virtually used ..
AK-47 weaver style tri-rail mount and receiver cover Replaces existing receiver cover Adjustable..